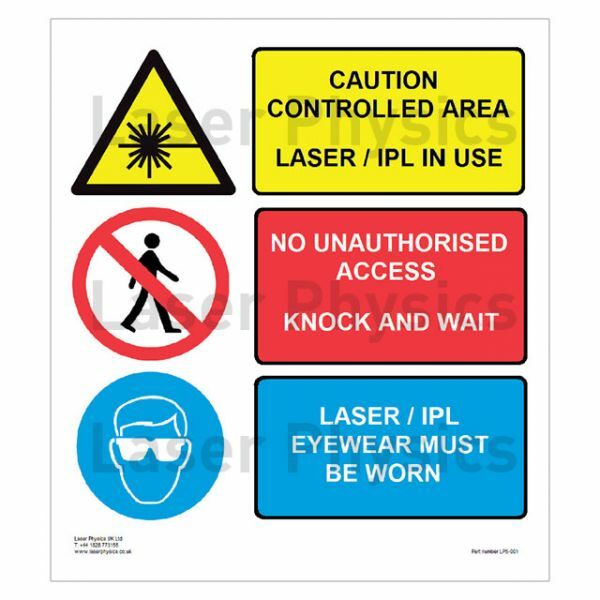 Laser/IPL Warning Sign. Shatterproof, rigid plastic warning signs available in A5 and A4 sizes. An Acrylic holder is also available for this sign. This clear holder can be attached to a door using sticky pads, hooks or screws, and allows simple reversing of the sign when the laser or IPL equipment is not in use.